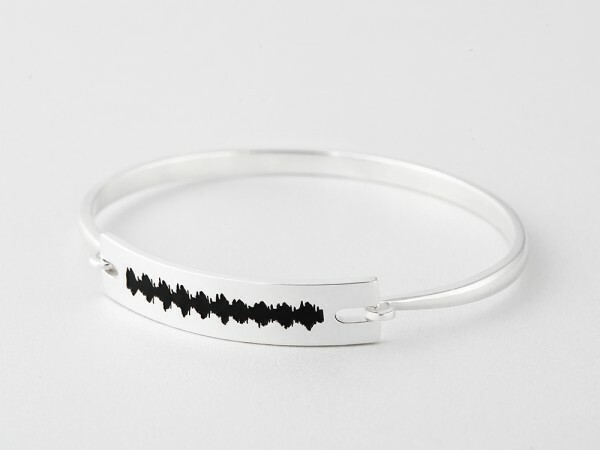 Convert a special voice or message into a soundwave bracelet and keep it close to you always. 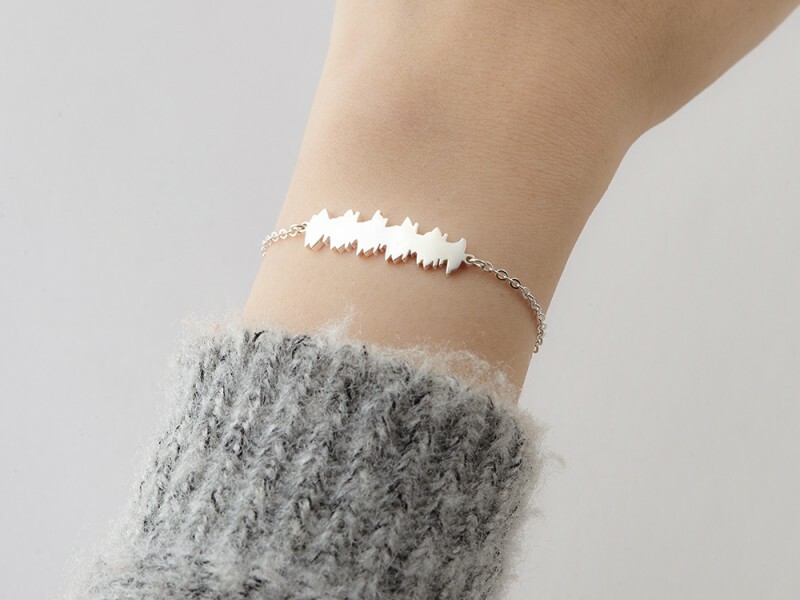 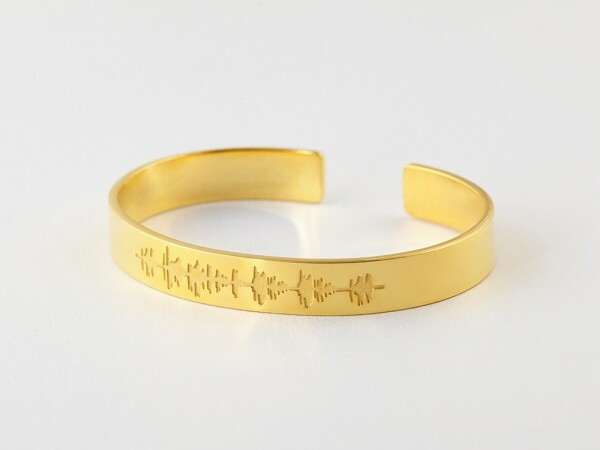 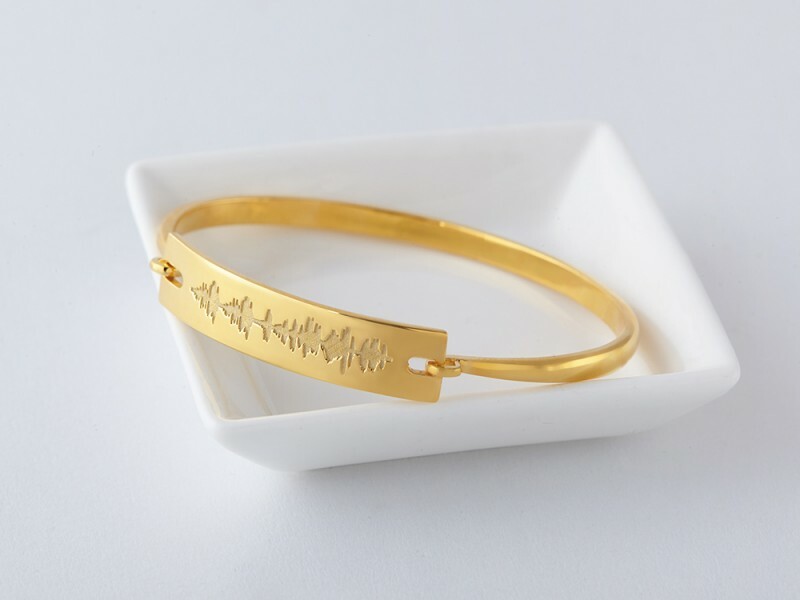 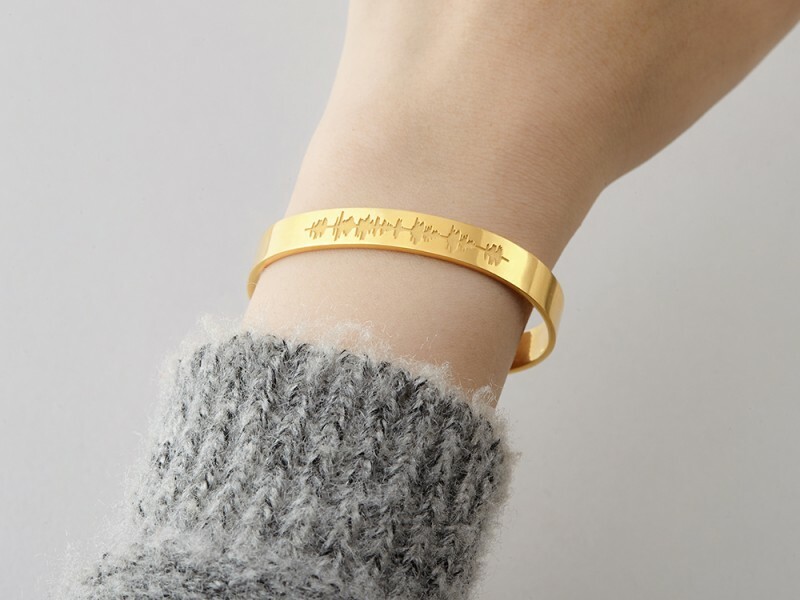 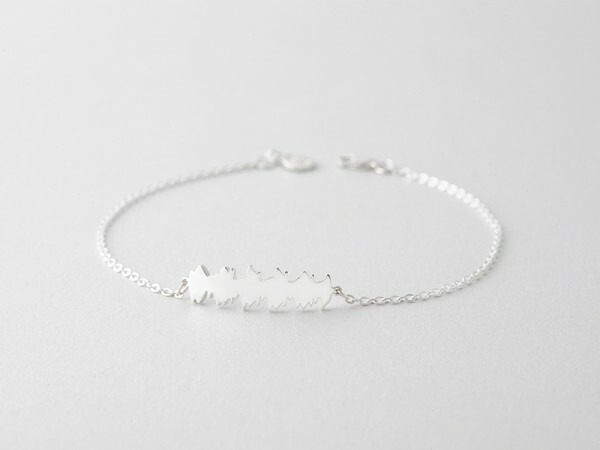 Also known as audio bracelet or voice bracelet, a sound waves bracelet is a novel personalized jewelry that will bring some delighted surprise to the recipient. 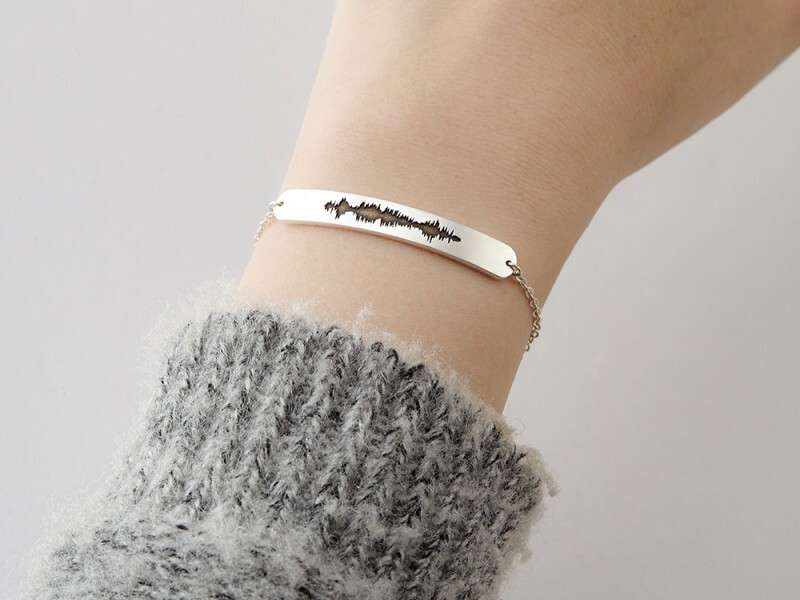 An I love you soundwave bracelet will be a sweet reminder of the love you share! 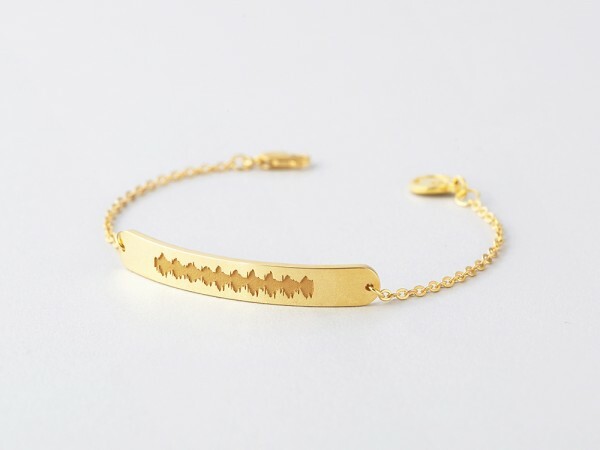 Our custom sound wave bracelets are handcrafted from 100% sterling silver with options for 18K yellow or rose gold plated, making it a great Valentine's Day gift or anniversary gift for your girlfriend or wife.